Running Press Adult, 9780762441433, 240pp. Popular food blogger and doyenne of canning, Marisa McClellan, is using small batches and inventive flavors to make preserving easy enough for any novice to tackle. If you grew up eating home-preserved jams and pickles, or even if you're new to putting up, you'll find recipes to savor. Marisa's confident, practical voice answers questions and quells any fears of accidental canning mistakes, and the book is written for cooks of any skill level. Stories of wild blackberry jam and California Meyer lemon marmalade from McClellan's childhood make for a read as pleasurable as it is delicious; her home-canned food-learned from generations of the original "foodies"-feeds the soul as well as the body. Marisa McClellan is a former writer and editor for Slashfood, and has a master's degree in writing from St. Joseph's University. 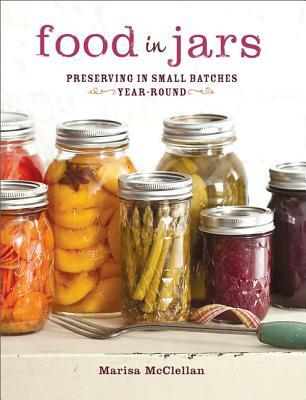 These days, she writes about canning, pickling, and preserving at Food in Jars (twice nominated by Saveur magazine for a Best Food Blog award). She lives in Philadelphia with her husband. Visit her at www.foodinjars.com.